Supply chains are becoming ever more complex as organisations respond to the demands of an eCommerce dominated world. 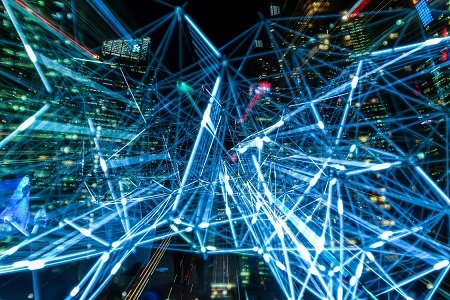 In the bid to retain control, organisations are now collecting huge amounts of data as products are tracked from one end of the globe to another – and it is this data that is set to provide the perfect platform for Artificial Intelligence (AI). As Alan Gunner, Business Development Director, Adjuno, explains, from revealing problems in certain locations at specific times of year, to predicting potential operational disasters and mining global data insight to rapidly reconsider supply routes in response to economic or climate events, AI will transform both tactical and strategic supply chain decision making. The recent hurricanes in the Caribbean, US, India and Bangladesh have not only devastated communities but also fundamentally compromised global supply chains. And while organisations clearly had a few days’ warning of these monumental weather events, few had any way of effectively managing the situation to mitigate the potential damage. Today’s incredibly complex supply chains are increasingly monitored in minute detail. Products are tracked and operational performance monitored as organisations look to drive the continual improvements in efficiency required to meet escalating demands. Add in the adoption of the Internet of Things (IoT) to deliver even more detailed, real-time location and performance data, and organisations should be able to achieve new levels of agility and responsiveness. Yet much of this granular data remains unused – it is simply impossible using traditional manual data mining tools to pull valuable insight from such vast data resources in a timely and cost effective manner. The arrival of AI and machine learning is set to change all that. Using AI, organisations will be able to unveil essential information about operational performance – not just today but in the future. The key is the combination of the wealth of historic and real-time data now available, both internal and market specific plus external data sources, including weather, plus the growing sophistication of AI tools. Over time, and with scale, this powerful combination is set to transform supply chain operations. The ability to rapidly harness insight from a mass of data – both internal and external – creates the opportunity to reconsider supply chains both tactically and strategically. Those suspicions about underperformance in certain locations at specific times of year, or days of the week, can be quickly verified – or dismissed. Potential operational risks can be predicted, enabling companies to introduce the right corrective measures. And global data insight can be mined to not only forecast the likely impact of a weather event but also rapidly reconsider alternative supply routes. For organisations trying to determine how best to trade in a post Brexit world, this extended insight can drastically reduce the risk associated with embracing new suppliers, freight operators and border crossings. The ability to use AI to mine a mass of market data will be transformative – providing insight into essential aspects of performance and operations across new markets and routes that can improve the quality of – and confidence in – decision making. The introduction of AI is not just about automation or leveraging machine learning to squeeze a fraction more efficiency through the supply chain – although that is always welcome. It is about decision making: it is about automating the supply chain with a better decision. And as the pressure to create the perfect supply chain continues, human processing alone will not be good enough: those organisations that embrace AI and add intelligence to decision making will be best placed to both respond to the inevitable disasters and plan for a very different, very profitable, future.